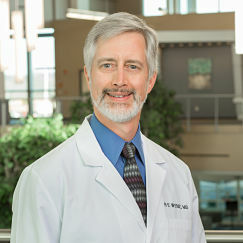 Dr. Robert E. Wenz, M.D. | Vitreo-Retinal Consultants, Inc.
Robert E. Wenz, M.D., is a fellowship-trained vitreo-retinal specialist, certified by the American Board of Ophthalmology. Dr. Wenz earned honors in both undergraduate and medical school at Case Western Reserve University. He completed his residency in ophthalmology at Mt. Sinai Medical Center of Cleveland, and his subspecialty training in vitreo-retinal disorders at the Kresge Eye Institute in Detroit, Michigan. Dr. Wenz is a native of the Cleveland area. He has been in private practice in Northeast Ohio since 1993, and joined Vitreo-Retinal Consultants in 1998. Dr. Wenz has been honored for his excellence in teaching ophthalmologists in residency training at the Mt. Sinai Medical Center.